Contact SolarWorld toll-free at (877) 360-1787 from 9 a.m. to 6 p.m. PT Monday through Friday or online atwww.solarworld-usa.com and click on the “Product Safety” tab for more information. This recall includes SolarWorld solar systems installed with bare-copper grounding lugs installed after June 1, 2010. These solar systems use energy from the sun to generate electricity within a system circuit. The installation instructions for SolarWorld solar systems sold after June 1, 2010 called for the use of GBL-4DB lugs for grounding. SolarWorld has revised these installation instructions to explicitly call for tin-coated lugs, specifically Ilsco part number GBL-4DBT. “T” is for tin-coated and indicated by the silver color of the lug. Customers may be able to identify from the ground whether a tin-coated lug (silver) or a bare-copper lug (brown) has been used on their solar panels. Consumers who can identify the improper lugs should contact SolarWorld for replacement. 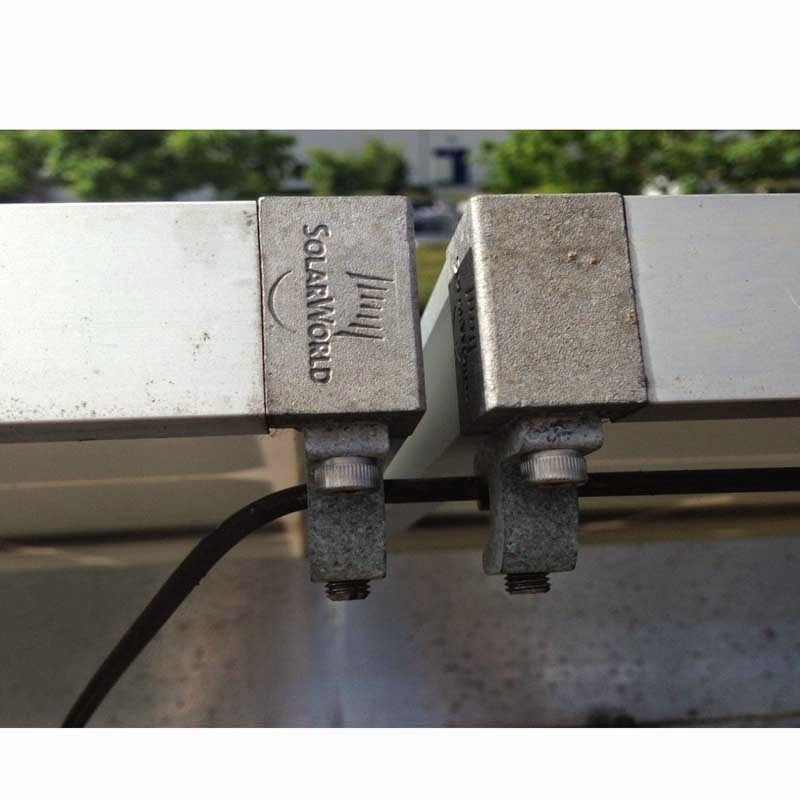 If customers cannot determine which grounding lugs were used, they should contact SolarWorld to have an authorized SolarWorld agent inspect the installation and replace the lugs with tin-coated grounding lugs or equally safe alternative remedy at no cost to consumers. SolarWorld is requesting that distributors and others remove SolarWorld’s installation instructions dated before June 2014 from their websites or other commercial information sources.